Once again we have a wealth of fundraising news for you. We are always amazed and touched by the generosity and energy of those who support THHN, both financially and with their time. A huge thank you to you all of you. Without you we would not be able to provide the memory-making holidays that families living with serious illness and bereavement so desperately need. 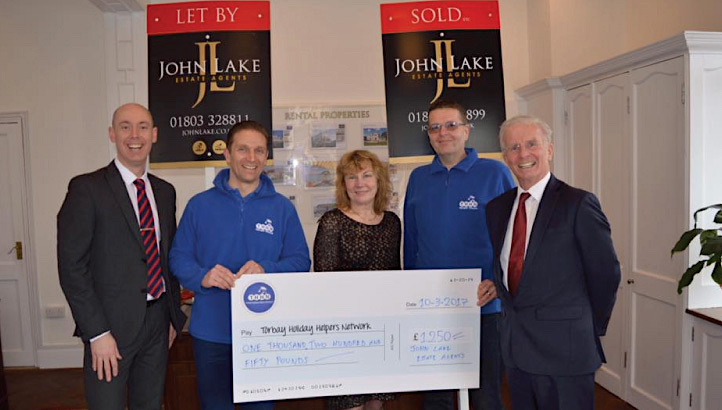 Last September when John Lake Estate Agents opened a new lettings office in St Marychurch, they pledged a contribution to THHN for every property successfully sold or let. As a result they raised an amazing £1,250, which they presented recently to THHN founder Luke Tillen and fundraising manager Brian Lewis. A heartfelt thank you to the Three Pillars Lodge, Torbay Masters Lodge, Jordan Lodge and Lodge Concordia, who last year joined forces and held the most incredible Ladies Night at the Riviera International Conference Centre. 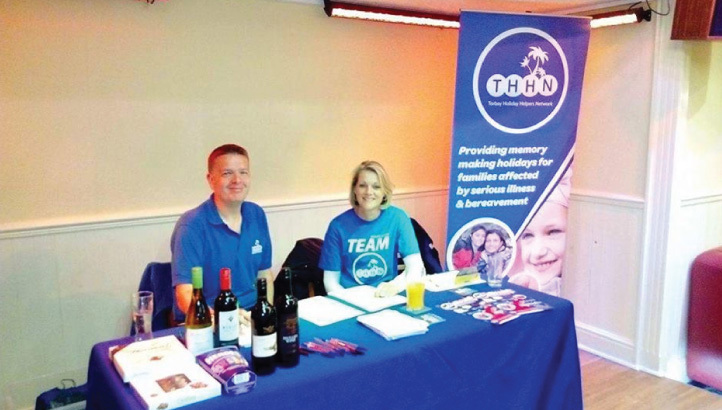 The whopping £1,850 they raised was split between four local charities, including THHN. 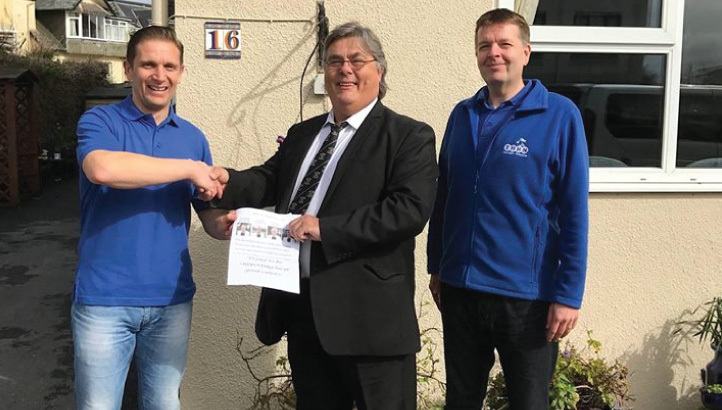 David Wilson, Master of Lodge Concordia, came along to THHN HQ to present THHN founder Luke Tillen and THHN fundraising manager Brian Lewis with a cheque for a fantastic £462.51p. 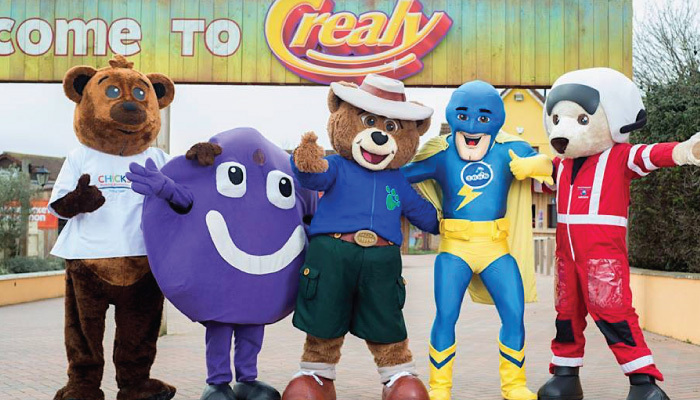 Crealy Great Adventure Park and Resort have named THHN as one of the four charities they will be supporting in 2017. THHN exhibited at two trade shows in March. Our team had the opportunity to highlight the work we do both at the Tourism and Business Exhibition at the Riviera Centre in Torquay and at the South West Business Expo in Exeter, where there were around 2,000 delegates. It was great to meet so many people and we hope to have recruited even more business supporters for our charity. We are delighted that Ocean BMW Torbay have become the latest sponsors of the THHN City to Sea and Festival of Fun events on Sunday, 3September 2017. Our Fundraising Manager Brian Lewis visited the Ocean BMW Torbay showroom to thank the team for sponsoring the event and helping THHN. 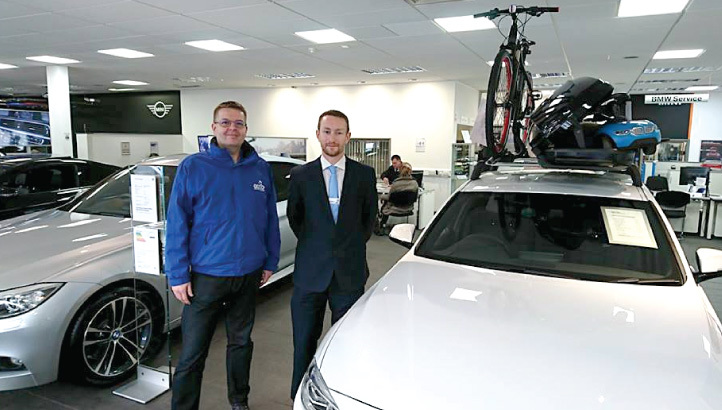 Gareth Watton, Ocean BMW Torbay Sales Manager, said “We love being involved with local charities and events, and this is one which really struck a chord with us. To see so much help and support being put back into our local community is so important, which is why we are so happy to be a part of such a fantastic event”. Local personal trainer and legendary THHN fundraiser will be taking on the Atlantic Coastal Challenge for THHN in October. His feat of fitness will consist of three very tough coastal marathons over three days. But as heroic as this challenge is, it is underpinned by tragedy. Glen first entered seven years ago in 2010, but never competed because he and his wife lost their son George while he was training for the event. “Obviously all training and events went out the window and my priorities changed to looking after my beautiful wife and just trying to get through the worst time any human being could ever go through,” said Glen. Please give as much as you can afford, even if it’s just £1, to support Glen’s challenge for THHN. Donate at www.justgiving.com/Glen-Bevan5. There is also one remaining slot (priced at £130) on Glen’s shirt for any business interested in sponsoring him. The event is likely to be well covered in local media. Fancy doing the fabulous THHN City to Sea marathon or ultra on Sunday, 3 September, but unwilling to take on the entire distance? Then the relay option could be for you. Marathon – two or three team members over three stages, running from Exeter to Babbacombe Downs. At the end of March a lovely family came to stay at THHN HQ, Hotel De La Mer in Babbacombe. We’d like to say a big thank you to our friends at Project Linus UK who very kindly donated one of their wonderful blankets for the family to enjoy.